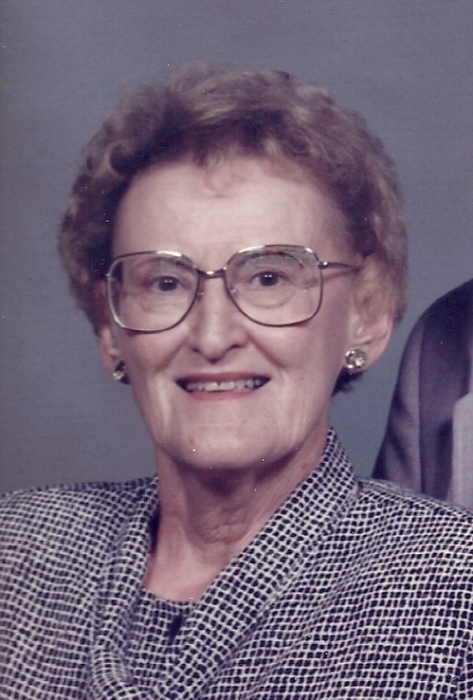 Marian Ogle, age 95 of Ripley, Ohio died Saturday October 27, 2018 at the Fairfield Pavilion in Fairfield, Ohio. She had also previously lived in Anderson, Indiana, Leesburg, Florida and Altamonte Springs, Florida. Mrs. Ogle was a homemaker and a member of St. Michael Catholic Church in Ripley. She enjoyed being a strong bridge player, an avid reader of detective stories, a video poker enthusiast and enjoying her daily glass of wine. She believed that red wine and dark chocolate were her reasons for her long life. Mrs. Ogle was born June 19, 1923 in Hamilton, Ohio the daughter of the late Frank and Lillian Trauthwein. She was also preceded in death by her husband of fifty-seven years in 2002 – Frank Ogle; two sisters – Helen Howard and Lois Ames; by only weeks, her friend of ninety years – Dorothy Bernier, who was also a resident at the Fairfield Pavilion. Mrs. Ogle is survived by one son – Michael Ogle (Jenny) of Ripley, Ohio; one daughter – Barbara Cappabianco (Anthony) of Altamonte Springs, Florida; one stepson – Barry Ogle (Sandy) of Anderson, Indiana; four grandchildren – Jeremy Ogle (Jessica), Carrie Baker (Brian), Krista Mazal (Jason) and Lauren Parsons; eight great-grandchildren – Zane, Brad, Sarah, Noah, Elliot, Emma, Adrian and Brecken. Mass of Christian Burial will be held at 11:00 A.M. on Friday, November 2, 2018 at St. Michael Catholic Church in Ripley, Ohio. Rev. Dohrman Byers will be the Celebrant. Visitation will be from 5:00 – 7:00 P.M. on Thursday, November 1, 2018 at Cahall Funeral Home in Ripley. Cremation will follow the services.